That the only freely elected president Egypt has ever known has been sentenced to death is only to be expected from the current military junta, which made a coup in July, 2013, and declared the former ruling party, the Muslim Brotherhood, to be a terrorist organization indistinguishable from al-Qaeda. Probably even under enormous pressure, some 20 percent of Egyptians at least somewhat identify with the Muslim Brotherhood (just as about 20 percent of Americans say they are evangelical Christians). To attempt to ban the entire religious Right as mere terrorists is a monstrous proceeding, and will inevitably produce the very terrorism it says it is trying to prevent. As with so many recent Egyptian court rulings, the surprising thing is the judiciary’s willingness to go along with crackpot conspiracy theories. Some Muslim Brotherhood leaders, including Muhammad Morsi, were imprisoned by the regime of Hosni Mubarak late in his presidency. On January 28, 2011, three days after big demonstrations broke out against Mubarak, Morsi and the others managed to escape from prison in the chaos of a collapsing regime. Afer Mubarak’s overthrow in mid-February, 2011, they set up a headquarters in the Muqattam Hills above the city. Ultimately they won both parliament and the presidency. But the judiciary struck down their victory in the national legislature on the grounds that they had cheated by running party candidates in independent constituencies (this is true). Then the presidency was taken away from them when millions came into the streets against Morsi on June 30, 2013, and the military took advantage of the unrest to stage a coup. 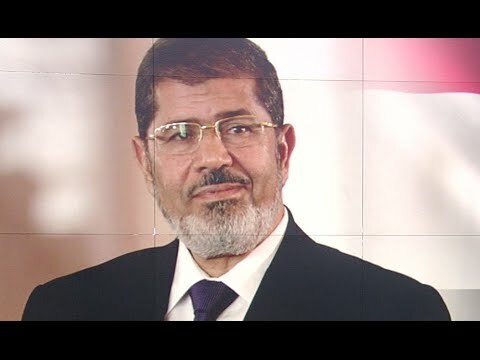 The charges on which Morsi could be executed include that he and the other Muslim Brotherhood leaders smuggled out the plans of their high security jail to members of Hamas, the Gaza party-militia, and to the Iranian Revolutionary Guards Corps and to the Lebanese Shiite party-miitia, Hizbullah. These nefarious terrorist forces then broke Morsi et al. out of jail on Jan. 28. It is being alleged that sharing the prison plans with terrorists is a form of espionage. That Morsi and the others escaped their incarceration is not in question. That they were broken out by Hamas, Hizbullah and the Revolutionary Guards in concert is a looney tunes theory for which there is no evidence, and it is a very dark matter to take a man’s life over charges that would elicit a derisive guffaw from most sane people. The other charge is that beginning in 2005, the top Muslim Brotherhood leadership began conspiring with Hamas to throw the country into turmoil, a plan that eventuated in the January 25, 2011, revolution. That Mubarak was overthrown by the Muslim Brotherhood or more precisely by the Palestinian Hamas organization is an absurd proposition. The majority of the demonstrators in the capital and big northern cities were left-of-center youth, not the older religious Right. In fact, the Brotherhood leadership was clearly uncomfortable with the demonstrations, and many Brotherhood youth stayed home as a result, though I found one estimate that about a fourth of the demonstrators in Tahrir Square were Brotherhood. If you know anything about Egypt, you’ll recognize that that is a tiny proportion for the country’s largest opposition movement. Hamas didn’t overthrow Mubarak, and it is an insult to the hundreds of youth martyrs who gave their lives in 2011 to suggest that it did. Ordinarily the Egyptian Field Marshall/ President Abdel Fattah al-Sisi is careful to praise the Jan. 25 revolution. But now his sycophantic judge is essentially declaring it, as well, a terrorist conspiracy and making it one of the grounds to execute the elected former president. “An Egyptian court’s recommendation today to sentence ousted president Mohamed Morsi and more than 100 other defendants to death after grossly unfair trials shows the deplorable state of the country’s criminal justice system, said Amnesty International. I should underline that I think Morsi could well have been properly impeached for some of his actions while president and I am hardly a supporter of his wing of the Muslim Brotherhood. The 20 years Morsi was earlier given for sending plainclothes Brotherhood thugs to break up youth demonstrations late in 2012, in the course of which 6 youth were killed, seem to me to have at least the pretense of rationality and basic facts in their favor, though that wasn’t a fair trial, either. But these charges and this sentence are not rational. They are like the rumors that North Korean dictator Kim Jung Un has fed his uncle to the dogs. Sisi and his fellow officers are beginning to act like Kim. They are unhinged. They even claim to have discovered a cure of AIDS in their military labs. (They haven’t). Egypt under the jackboot of the brigadiers is fast becoming an international pariah. Even Sisi’s recent visit to Spain produced howls of outrage that he was allowed into Madrid. Egypt’s stock market lost $26 billion in the past week. Tourism is still way down. Arbitrarily executing people is not a procedure calculated to give the public, whether domestic or international, any confidence.